At the FCC's monthly meeting on Thursday, February 18, 2016, the Commissioners considered a Notice of Inquiry regarding possible discrimination against independent programmers in the cable television industry. If approved, it would set the stage for anyone to comment on the issue, sharing their thoughts on the loss of channels like RFD- TV. LEAVE A COMMENT ON VERIZON’S FORUM! The following ad appeared in issues of the New York Times and the Washington Post on January 29, 2016. 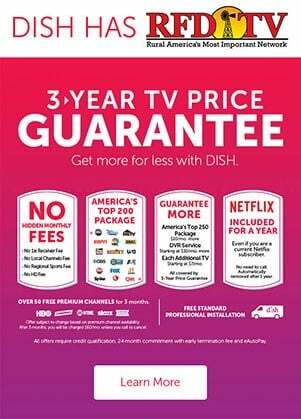 Check out a new deal from our friends at DISH Networks, LLC. 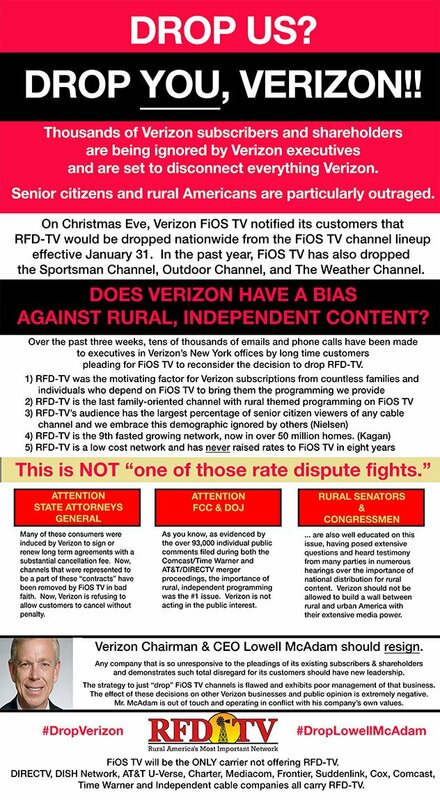 RFD-TV and our customers demand to be heard -- and mainstream media outlets are spreading our message. Click the links below to read coverage from CableFax, the Philadelphia Inquirer and more.